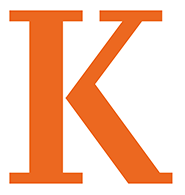 A respected law professor called “one of the stars of his generation” by Supreme Court Justice Elena Kagan, and one of the “most influential people of the 21st century” by Esquire magazine will deliver the Donald C. Flesche Visiting Scholar Lecture at Kalamazoo College. Noah R. Feldman, the Felix Frankfurter Professor of Law at Harvard Law School and a senior fellow of the Society of Fellows at Harvard, will speak at 8 p.m. Tuesday, April 9, 2019, in the Olmsted Room, Mandelle Hall. The lecture is free and open to the public. Harvard Law Professor Noah Feldman will deliver the Flesche Lecture at 8 p.m. April 9. Feldman specializes in constitutional studies with an emphasis on the relationship between law and religion, constitutional design and the history of legal theory. He is also the director of the Julis-Rabinowitz Program on Jewish and Israeli Law. 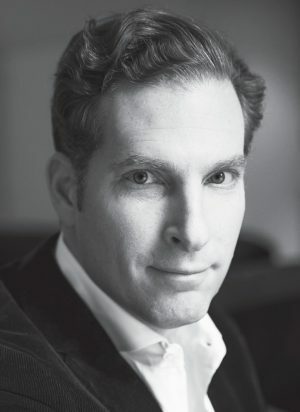 Feldman received his bachelor’s degree in near-Eastern languages and civilizations from Harvard University in 1992. He was selected as a Rhodes Scholar and earned his Ph.D. in Oriental studies from Oxford University in 1994. He received his J.D. from Yale Law School in 1997 and served as a law clerk to Justice David H. Souter of the U.S. Supreme Court. He served as a senior constitutional adviser during the drafting of Iraq’s interim constitution in 2003. In 2011, Feldman appeared in all three episodes of Ken Burns’ PBS series Prohibition as a legal commentator, and he is a regular contributor to Bloomberg Opinion. He has written seven books since 2003 including, What We Owe Iraq: War and the Ethics of Nation Building (2004), Divided By God: America’s Church-State Problem—and What We Should Do About It (2005) and The Three Lives of James Madison (2017). The lecture series is named after Donald Flesche, a professor emeritus of political science and the longtime “Voice of the Hornets” at countless K athletics events. Flesche taught at Kalamazoo College from 1962-1998; in 2001, he was honored with the Weimer K. Hicks Award, recognizing a current or retired employee of the College who has provided support for programs or activities beyond the call of duty. The lectureship endowment was started by Flesche’s former students to honor his inspirational teaching and ensure that the conversations on campus include some of the world’s best scholars. Events such as the Flesche Lecture and the Weber Lecture, which brought leading Black Lives Matter Voice DeRay Mckesson to campus in October, provide K with “an opportunity to bring in an opinion maker who sees excellence in our academic programs and invite them to be a part of our fellowship of learning,” Furge said. This entry was posted in News Stories and tagged political science, . Bookmark the permalink.